There is a high level of flexibility in relation to Croatian in this department. If you are interested in starting, developing or perfecting your proficiency in this language or would like to consult with a specialist, please do not hesitate to contact the Department and we will put you in touch with the relevant lecturer. In general, if you have particular needs — such as wanting to sit the Leaving Certificate, take an intensive short-term language course, or wanting to refresh your knowledge of a language which you may have forgotten — please do not hesitate to contact us and we will try to accommodate you appropriately. 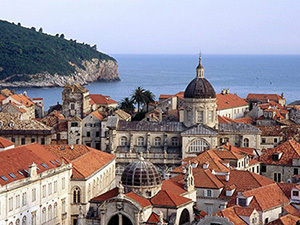 If you are interested in studying Croatian, please see our brochure. In order to apply, please complete and post the application form as per instruction available for language courses here.